As the title of their debut full-length album would suggest, the music that flows from the Daniel Arthur Trio can only be described as vivid. Vibrant. Vivacious. I could go on. The fact of the matter is, it would be impossible to mistake these recent Schulich Music School graduates for sophomoric amateurs, not to mention their expanding resumé. In 2016, while still at McGill University, the trio performed at the internationally-renowned Montreal Jazz Festival, and this year have taken third place at the Conad Jazz Fest (Perugia) and a semifinalist title at the Bucharest International Jazz Competition. Daniel Arthur, a pianist by trade and the trio’s “frontman,” was performing with the Seattle Opera while still in high school, and has played classical piano since the age of seven. All arrangements on Vivid are of his own composition, and it’s clear from the get-go that he has an ear for the ebb and flow of the tracks. The album moves as a river might: at times still and quiet, at others roaring along, almost unhinged. Arthur’s piano may wander, but it is always brought back by Ethan Cohn’s steady bass and Eric Maillet’s clever drums. The trio members have all been formally trained as musicians, and it shines in their performances; everything is precise, even when the intricate harmonies present as hectic or loose. The three instruments will expertly play games of tag and tug-of-war, yielding for solos and dramatic effect, but not once do they fall completely silent. When one instrument shines, the other two provide a support system to buoy it along. Their style evokes 20th century composers such as Stravinsky and Messiaen, as well as contemporary jazz musicians; a hint of Brubeck can be heard from time to time as well. Vivid begins with “Prelude,” a kind of amuse-bouche that does a good job of introducing the trio’s sound, letting them stretch their musical muscles. Arthur demonstrates his penchant for syncopation and time signature shifts early on in this short track, which features a hypnotic piano melody. On “DSFCA,” a frantic piano shoots out of the gate before the drums and bass kick in to send the track into a frenzy. Constantly shifting intervals, dynamics, and tempo keep the listener on their toes before the track cools down, the dynamics becoming subdued and steady rhythms taking hold. Rolling chords introduce “Joy,” blossoming nicely with the addition of the bass being played with a bow, instead of Cohn’s usual plucking style. Maillet’s drums are added slowly, entering the flow of the rhythm seamlessly to provide a nice contrast with Cohn’s bass. Arthur’s piano then takes over, with the bass and drums now only acting as accents. While the melodies are rather repetitive, the differences in tempo and call-and-response pattern that emerges keep the track pleasant and the listener engaged. Arthur arranges the track to fall into dissonance before inserting a neat, circular resolution: the return of the initial piano melody, now a little more harried. On “Mars Text,” bass and a higher piano melody take the spotlight, supplemented by drums and a faster piano melody, played at a lower register. The track has a bittersweet quality to it, with each instrument alternately fading in and out, each in its own world. As the track picks up, the melodies of piano, bass, and drum become intertwined, building on one another; this cyclical track is one of Arthur’s most involved compositions, and the trio perform it expertly. 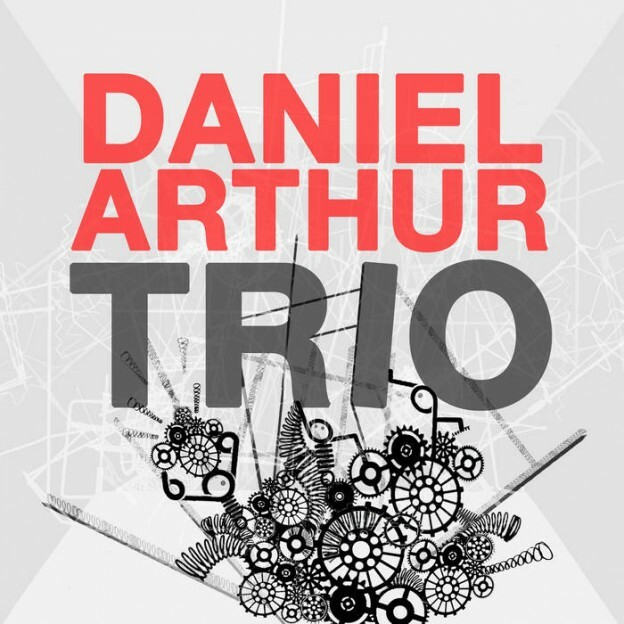 The Daniel Arthur Trio also cover the greats on Vivid, paying homage to Shostakovich and Messiaen in additional tracks. While their overall performance style still has an air of youthful formality, the raw talent exhibited by these musicians cannot be denied, and this author can only hope they will continue to showcase their prowess as they carve a name for themselves in the jazz world. This entry was posted in Reviews and tagged album review, Daniel Arthur Trio, Jazz, McGill artist, Vivid on August 17, 2017 by Juliana Van Amsterdam.